Exceptional preschool programs will cater to a variety of learning styles. Each child is unique and brings their own special personality into the classroom. And each child has a preferred learning style. It is never too early to cater towards individual learning strategies and preferences. Teachers should be aware of individual learning methods so your child can benefit from the preschool program you have enrolled them in and have the best experience possible. Preschool programs aim to develop your child’s social, emotional and academic skills. Children who attend a quality preschool are at least one step ahead of those who don’t. It builds a solid foundation of development and learning for years to come. Dedicated learning areas/centers in the classroom help foster a variety of skills and interests, while also being mindful of each child’s different learning types. 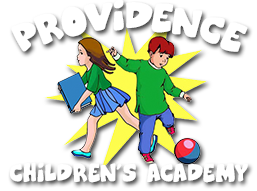 At Providence Children’s Academy, our Voluntary Prekindergarten (VPK) program offers enriching and fun learning and social experiences. It ensures that children are emotionally, academically and socially ready for school. Crucial factors such as early literacy skills are valued in a VPK program. The idea of utilizing numerous learning styles is an innovative approach to teaching. Generally, each child would have a mix of learning styles that they prefer, rather than just one. Your child can have one dominant learning style but still thrive with other types of learning. Many traditional schools still focus solely on memorization and repetition learning however this has proven less effective, especially for children of pre-school age. According to Neil Fleming, there are four main learning styles. These are visual, aural, read/write and kinesthetic (VARK). No one learning style is better than another. Visual learners learn most successfully with the help of images/graphics. They are good at recognizing letters and numbers printed out on flashcards, for example. Auditory learners are at their best when listening to instructions or stories. Group discussions during the preschool program, mnemonic devices and repetition boost learning. Reading and writing as a preferred learning style might arise more in primary school rather than preschool. These kids get the most benefit from engaging with words. Kinesthetic learners like to be hands-on in the classroom. Anything in the program that involves moving their bodies will probably work fantastically. These learners will go for building blocks or arts and crafts. 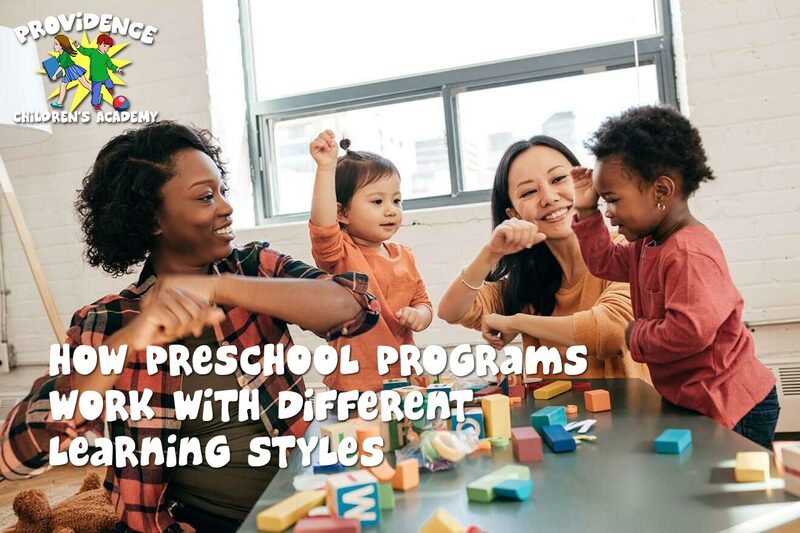 How Can Preschool Programs Work with Different Learning Styles? One child can benefit from a variety of learning methods, while another child works best with a specific style. This means that preschool programs must incorporate a variety of these types. Teachers should be able to include numerous styles and adapt to each child’s preferences. So how can a preschool program include activities that consider numerous learning styles? This is where quality teachers become more important than ever. Lessons need to be carefully designed and, where possible, accommodate all types of learning styles. During story time, for example, a teacher can let visual learners and reading and writing learners have a copy of the book to look at the pictures and words, or the children can sit at the front to easily see the pages. Auditory learners will prefer to focus on what the teacher is reading aloud. Kinesthetic learners could be given physical activities such as acting out the story as the teacher reads. At this age, children might be too young to be aware of what style(s) of learning works best for them. Therefore, teachers must be aware of each child’s preferences and what works best for them. Educators should vary their teaching styles to expose children to several ways of learning. This creates flexible learners with a variety of skills to cope with their future schooling careers. All children learn differently. Diverse ways of processing information should be accommodated in preschool programs to include all children and all abilities. Teaching styles and learning styles should be aligned to foster optimal development in all kids.